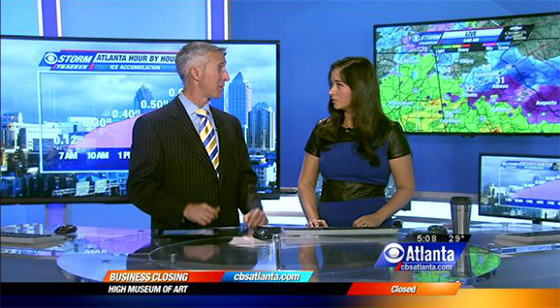 WGCL-TV rolled out its new studio a little early, thanks to the current weather situation in Atlanta. While only the weather center is being used on-air, it’s only a matter of time till the entire set is in use. The set was designed by FX Design Group.